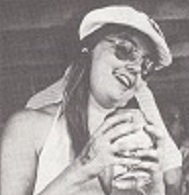 Oklahoma Region's first National SOLO II Champion was Karen Flippo in 1975 at Salina, Kansas. Karen demolished the field, and won by almost twelve seconds. Karen's win stood for almost twenty five years as the largest victory margin at the SOLO II Nationals. "The old Ladies Index Class was dropped and four new classes, based on straight times, were substituted this year. In Ladies 1 (Stock), Karen Flippo from the Oklahoma Region, won in an A Stock Porsche 911T which Diane Sanders, Kentucky, was a runner-up in another A Stock Porsche 91 1T. Carol Rhodes, Central Pennsylvania finished third in a DeTomaso Pantera, also A Stock." "MRS. FLIPPO SHOWS 'EM Official 1-2-3 results of the 1976 SOLO II Championships list one Oklahoma Region member - - - Karen Flippo, who drove the Porsche 911T to a third in Ladies D, behind a pair of Carreras from Ohio. Karen's time of a minute plus was just a hair off the first place time and about a half a hair off the second place time. 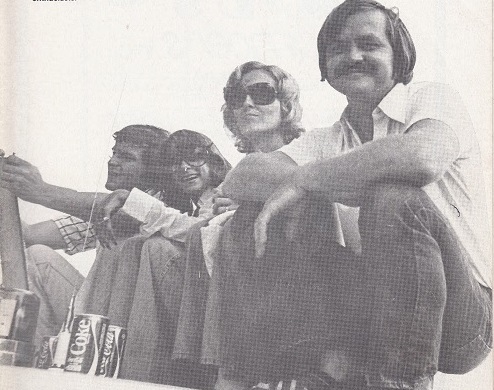 But Karen was not the only winning SOLO II female driver from Oklahoma Region in the seventies. Betty Wills finished second in Ladies 2 in 1975, driving her MG Midget. In 1977 Betty switched to a FIAT X 1/9 and drove to second place in E Stock Ladies. In 1978 Betty returned in the FIAT to the SCCA SOLO II Championships, again in Dallas, and won E Stock Ladies. Three podium placings in four years is quite an accomplishment. Your author would be remiss in not mentioning Sandra Saucier's strong fourth place finish in 1975, in Ladies Class 1.